The How2BecomeAChristianInfoBLOG.com is the blog for How2BecomeAChristian.info. 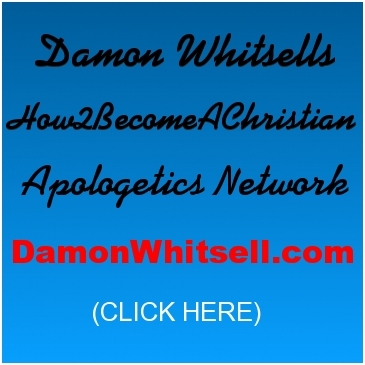 The site manager Damon Whitsell will be posting his personal bible studies and articles here. Please feel free to comment on them provided that you register with WORDPRESS.COM. Damon will also be bloging other news, articles and bible studies here that are not his own but that he feels are of much importance. If you wish to debate or discuss the Christian doctrine presented in this BLOG or the GROUPBLOG and at H2bac.info. You are welcome to do so in the comment section of the individual post. OR We recommend doing so at CD&D. It is a very dynamic, diverse and exciting forum for vigorous intellectual discussion and debate regarding biblical issues.